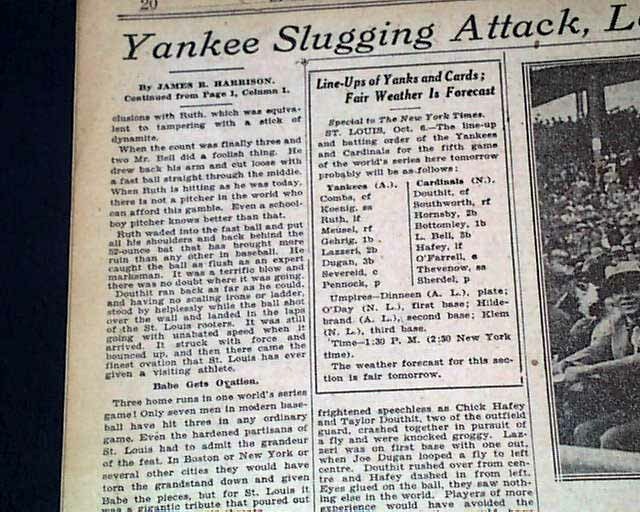 In the annals of World Series history one of the outstanding events remains Babe Ruth hitting three home runs in the fourth game of the 1926 World Series. 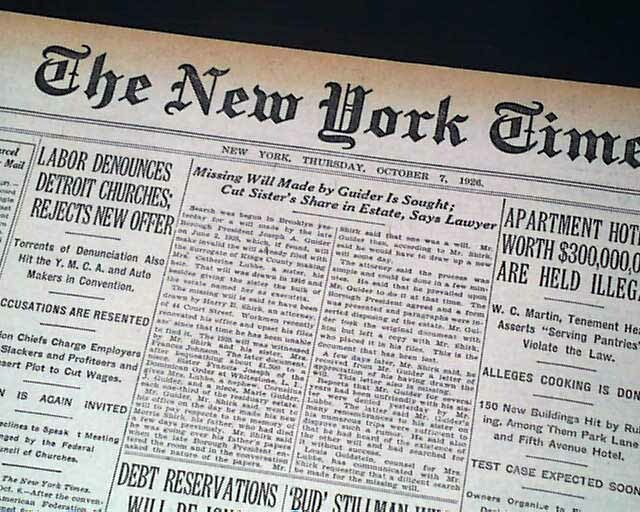 That event is reported in this issue, and terrific to have in the New York Times. 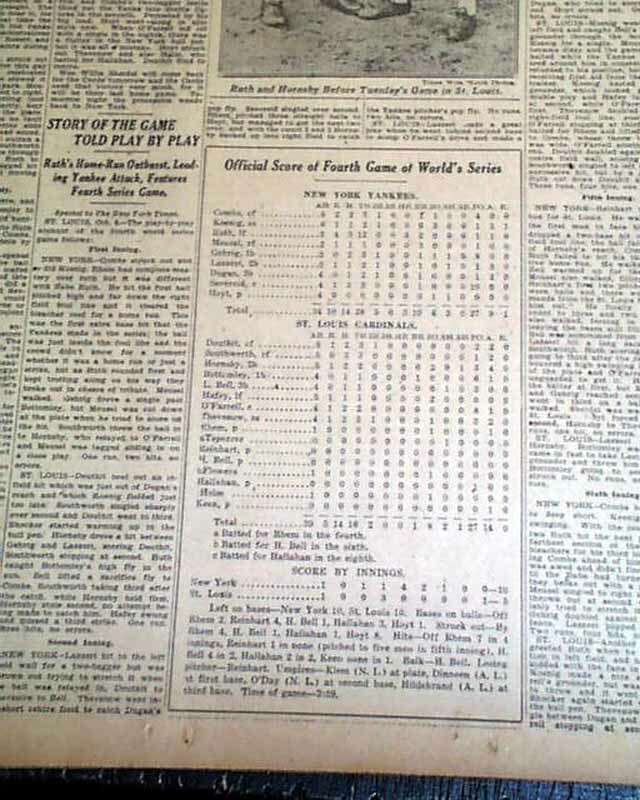 The top of the first column on the ftpg. 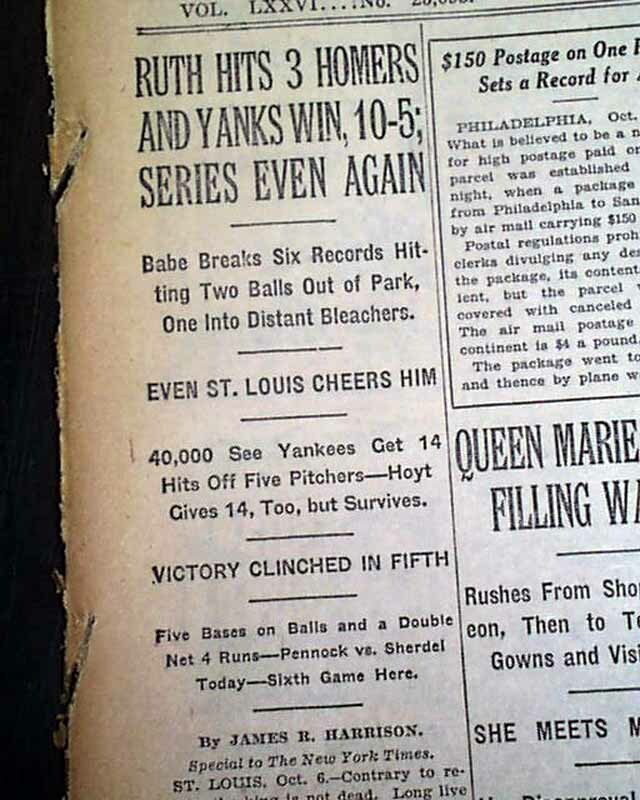 has: "RUTH HITS 3 HOMERS AND YANKS WIN, 10-5; SERIES EVEN AGAIN" "Babe Breaks Six Records Hitting Two Balls Out of the Park, One Into Distant Bleachers" "Even St. Louis Cheers Him" "40,000 See Yankees Get 14 Hits Off Five Pitchers--Hoyt Gives 14, Too, but Survives" and more. 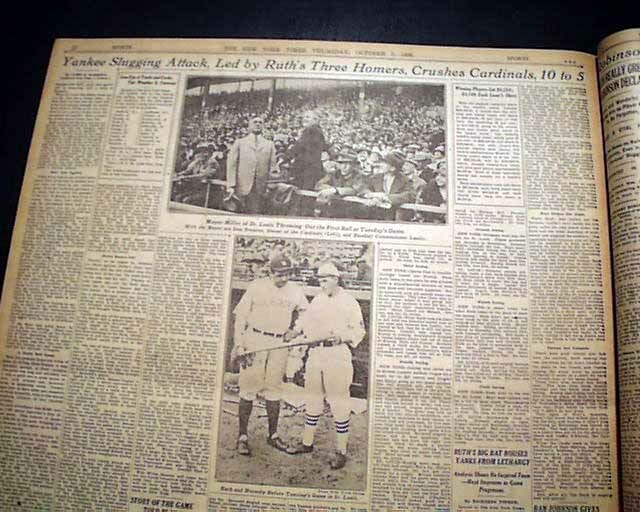 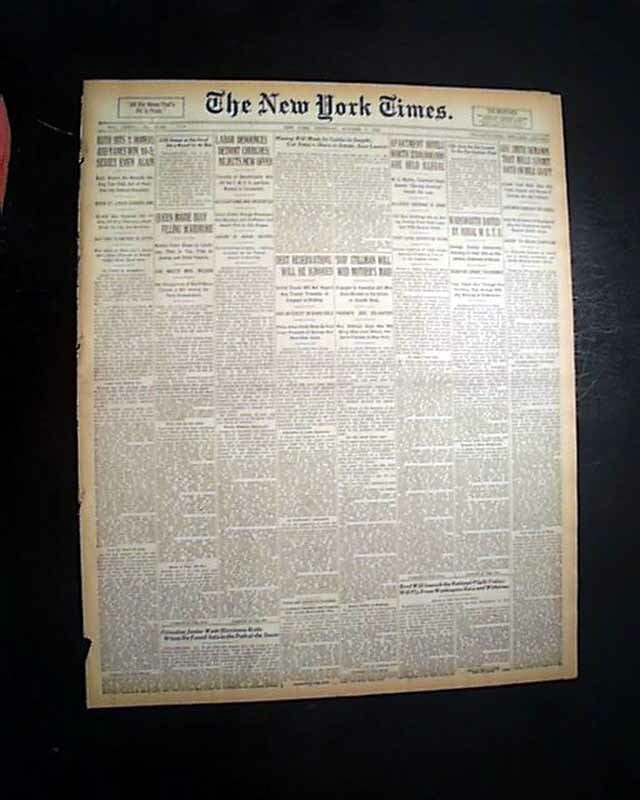 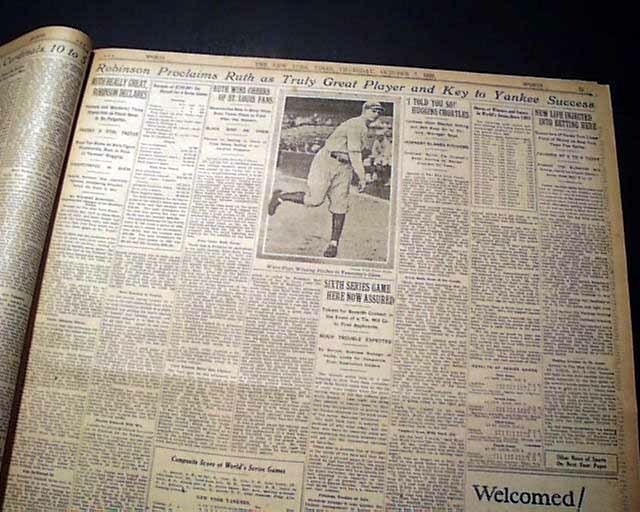 Coverage carries over to pages 20 and 21 which have two banner headlines across the top: Yankee Slugging Attack, Let by Ruth's Three Homers, Crushes Cardinals 10 to 5" and: "Robinson Proclaims Ruth as Truly Great Player and Key to Yankee Success". 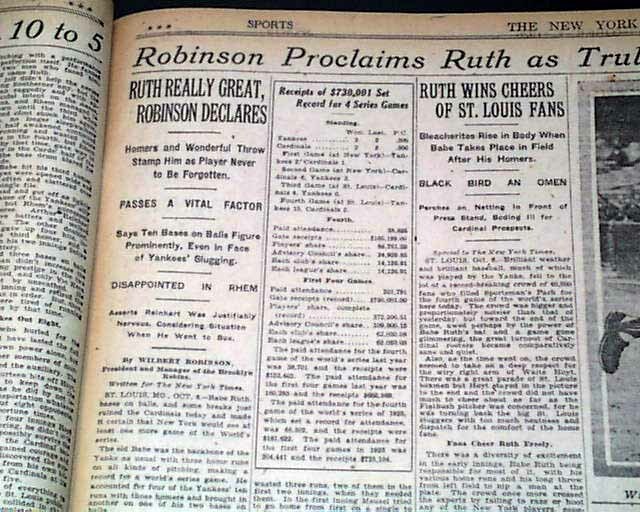 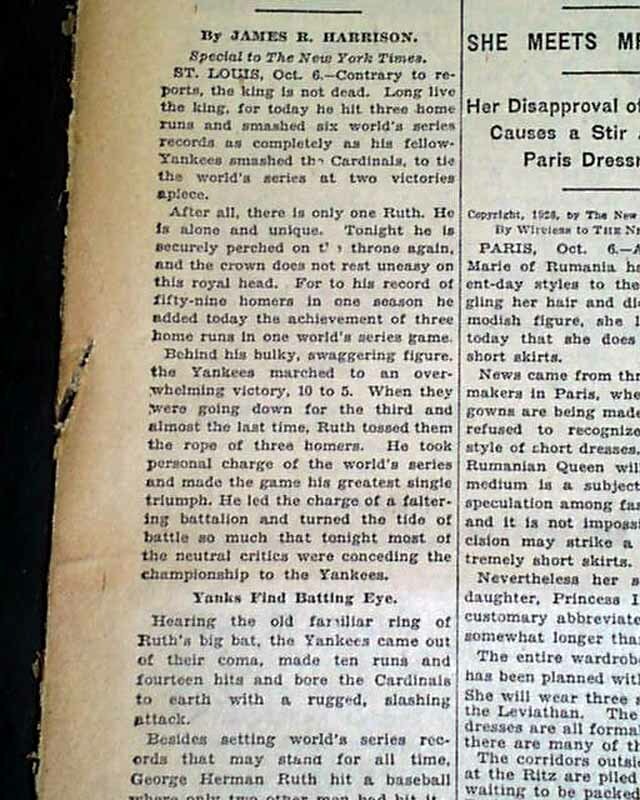 There is a host of other column heads on the game, the World Series, and Babe Ruth, a few including: "Ruth Wins Cheers Of St. Louis Fans" "Ruth Really Great, Robinson Declares" "Ruth's Big Bat Rouses Yanks From Lethargy" "Story of the Game Told Play By Play" "Ruth's Home-Run Outburst, Leading Yankee Attack, Features Fourth Series Game" and more. 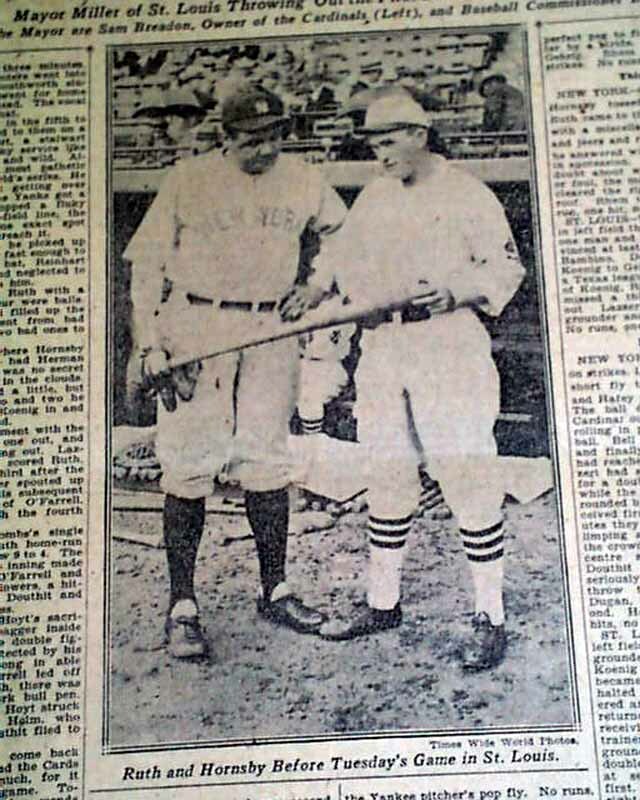 Plus there are nice photos including one captioned: "Ruth and Hornsby Before Tuesday's Game in St. Louis" (see the many photos). 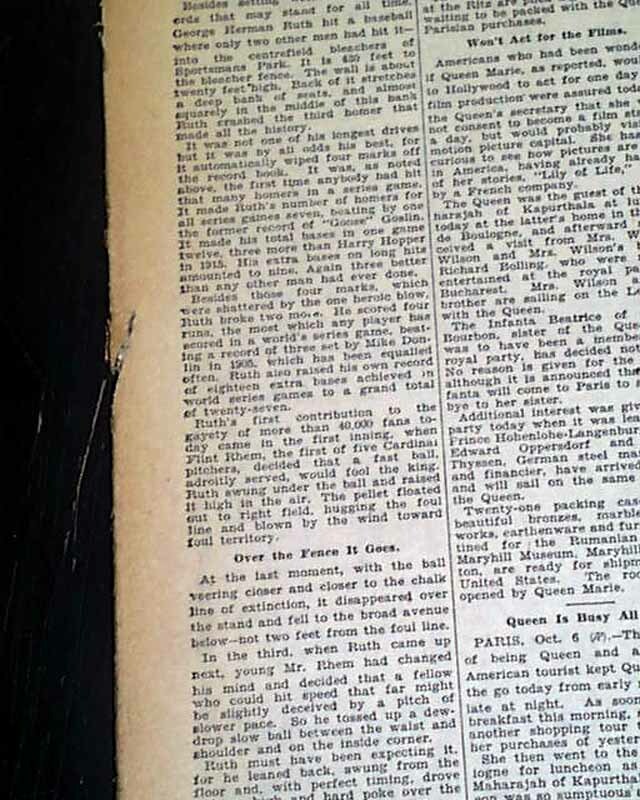 Complete in 56 pages, disbound, two interior & unrelated leaves have tears & margin fraying, very nice, clean condition.